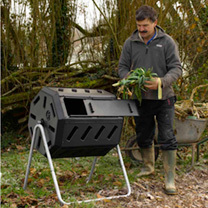 Recycle garden and household waste into rich compost with this rotating composter. It has two chambers for efficient batch composting - fill one side with fresh waste while the other side is maturing. 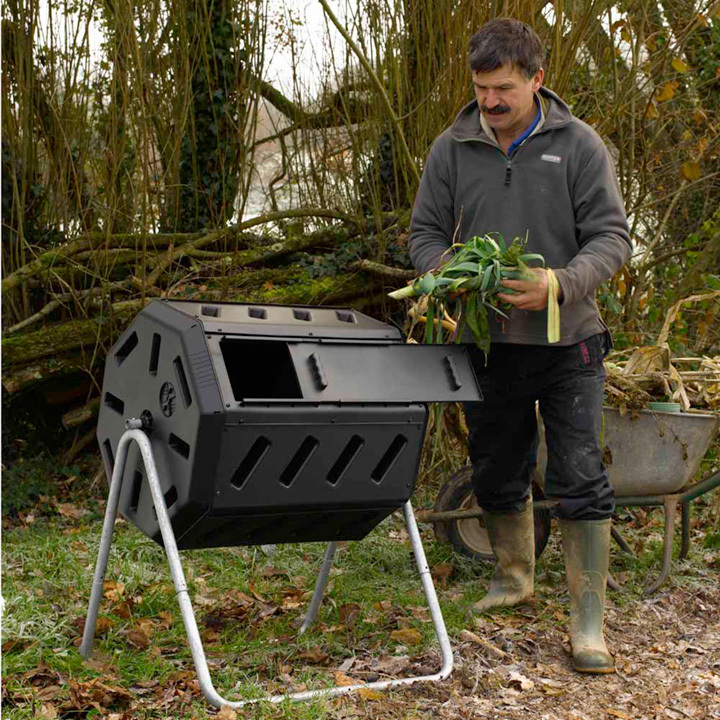 Made from robust UV-stabilised plastic, it has built-in churning paddles to break down and mix the contents for faster, more efficient composting, adjustable vents which allow variable airflow and a sliding door for easy loading and emptying. Capacity 198 litres (7cu.ft.). Flat packed for quick and easy home assembly. 71cm (28") wide x 66cm (26") deep x 93cm (36½") high. Please allow 14 days for delivery.